Time to start making your reservations—the 2019 Michelin Guide star rankings have arrived. Each year, Michelin sends anonymous inspectors to restaurants around the globe to rate the best dining experiences. A total of 22 Chicago restaurants were awarded stars this year, down from last year's crop of 25 local spots. 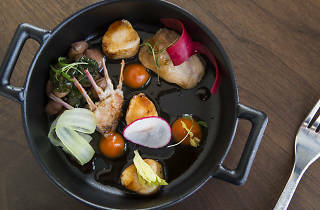 The sole newcomer on the 2019 list is Temporis, a West Town fine dining establishment that serves 11-course meals in an intimate 20-seat dining room. All of the omissions on this year's list of star rankings come as the result of recent restaurant closures. New York restaurateur Danny Meyer's Streeterville concept GreenRiver closed earlier this year as did River North restaurant Naha, which is scheduled to relocate sometime this fall. Formerly two-star rated Trump Tower restaurant Sixteen also closed earlier this year, reopening as the more casual Terrace 16 Restaurant & Bar. Finally, formerly three-star rated fine dining institution Grace shuttered abruptly at the end of 2017 after chef Curtis Duffy departed in light of a disagreement with its owner. As a quick refresher, here's what the prestigious star ratings translate to: One star is "a very good restaurant in its category;" two stars indicate "excellent cooking, worth a detour;" and the coveted three-star ranking marks "exceptional cuisine, worth a special journey." 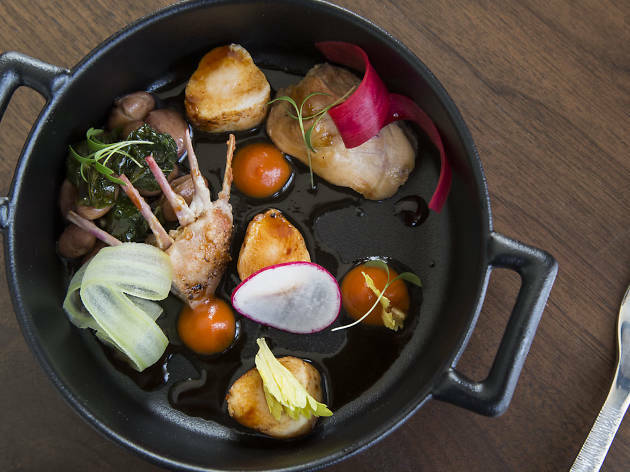 Take a look at the complete list of Chicago restaurants that earned 2019 Michelin Guide stars below.